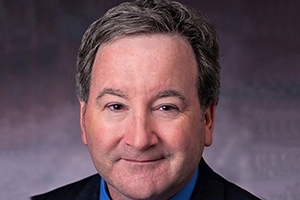 James Casey, director of American University’s Office of Sponsored Programs, is co-chair of the upcoming State Bar of Wisconsin Biotech & The Law 2016 Global Conference and Expo. Members of the AU community are encouraged to consider attending for professional development purposes. The conference will take place in Madison, Wis., at the Monona Terrace Community and Convention Center (designed by Frank Lloyd Wright) May 5 through 7, 2016. Attendees will meet scientists, investors, business developers, university and government policymakers, and attorneys involved in global biotech. Academic institutions, agricultural research facilities, environmental companies, government agencies, healthcare organizations, law firms, pharmaceutical companies, and research labs are some of the business areas that will be represented. Conference attendees will also have the opportunity to take advantage of excursions around the Madison area. Destinations will address such areas as diagnostic biomarkers, DNA sequencing, economic development, genetic cloning, history of biotech, science of beer, technology transfer, and workforce development. The conference website is located at http://www.biotechandthelaw.org/, with early bird registration ending on March 15, 2016.